At Fontenelle Forest, we believe that today’s children are tomorrow’s stewards. 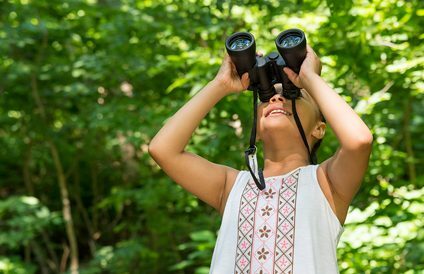 Our camps offer a vital connection with the forests, prairies and wetlands that children often only learn about through books or television. Our summer day camps feature science-based learning through play. Our staff is committed to providing your child with high quality, positive outdoor experiences for children of all ages. 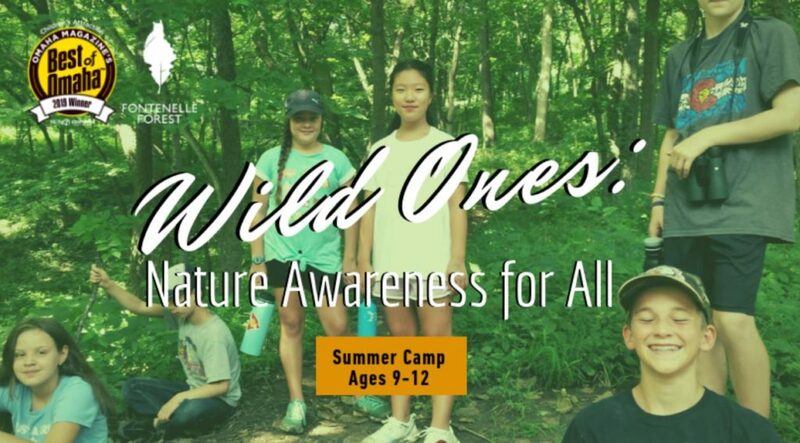 Our campers, surrounded by nature, dive into the unknown and have adventures that develop great life skills while led by enthusiastic counselors. 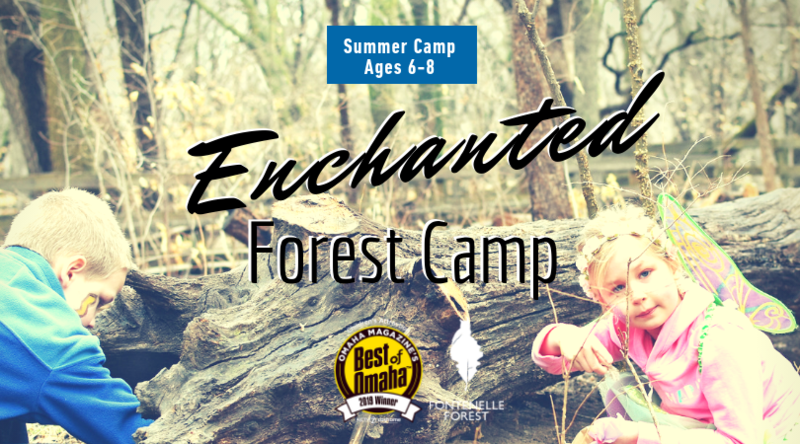 Fontenelle Forest is excited to offer after camp care! Campers can play games, draw, read and participate in other activities supervised by summer camp staff. Download the 2019 Summer Camps Brochure Here! 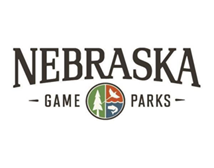 9:30-11:30 a.m. OR 1:30-3:30 p.m.
Do you have nature lovers in the family? Do you want to pass along your love for nature to the next generation? Would you like to spend some quality time with the younger generations in your family? Join us for our ‘Possum Pals, an intergenerational camp designed for children and their caregivers to bond with each other and the natural world. Camper teams – grandchildren with grandparents, nieces & nephews with aunts and uncles, child with parents, and other combinations that fit your families – will create memories that last a lifetime. All campers must be accompanied by an adult 18 or older. Campers will learn about ecosystems, food chains, and how our environment is interdependent on each piece. 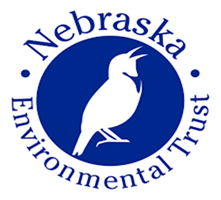 Participants will hike, nature journal, watch birds, and explore pond life, interacting with each habitat at Lauritzen Gardens and Fontenelle Forest. 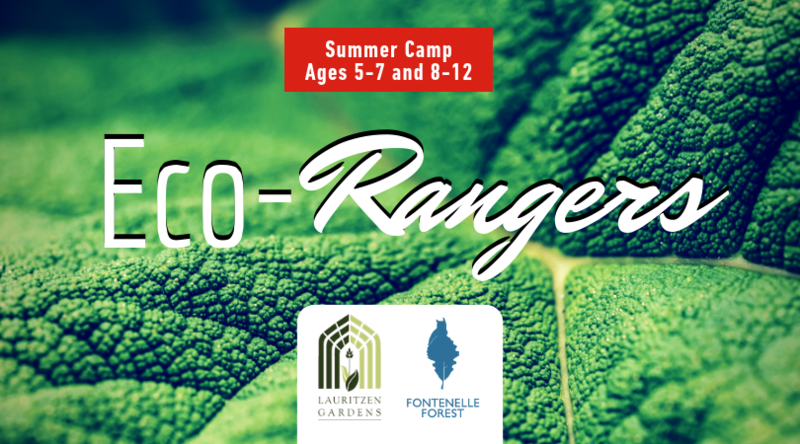 Eco-Rangers is a partnership camp with Lauritzen Gardens, unfortunately, there is no aftercare provided by Fontenelle Forest. We apologize for the inconvenience. The forest is full of critters of all sizes! 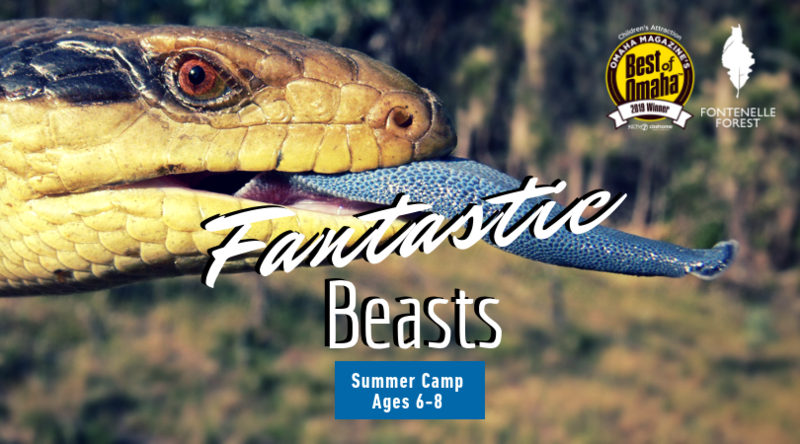 Come learn what it takes to care for wild animals in this fun-filled camp. From raptors to rabbits, we will explore the world of being a wildlife veterinarian. 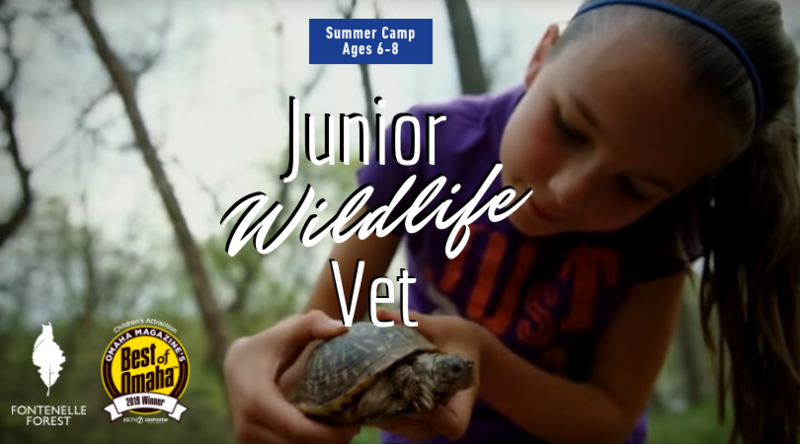 Campers will get a behind-the-scenes tour of Raptor Woodland Refuge and our Animal Care center, and will learn how to help sick, injured and orphaned animals around their home! And of course, we will spend time searching the forest for healthy animals too! Discover the natural world through forest fantasy. Using our imagination and the sense of wonder nature provides, we’ll discover our natural environment using the mythical creatures such as sprites, trolls, elves, and fairies. Campers will spend the week exploring the world through the eyes of their elves and fairies and consider the questions: Where do elves live? How do trolls prepare for the changing seasons? What do the signs we find in the forest tell about who lives here? We’ll use the framework of mythical creatures to learn more about the animals that call the forest home. There are all sorts of wet and wacky animals in our forest- from turtles to fish, to snakes and ducks. Join us as we explore the forest habitat and discover the animals and plants that call our forest home. 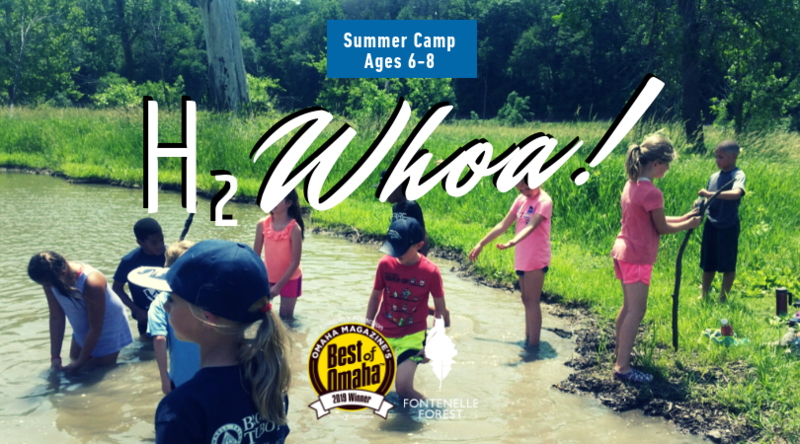 Campers will get their hands wet and muddy during games, crafts, and of course hikes inspired by the animals residing in the forest. We’ll be getting muddy so bring your old clothes! Nature’s engineers are hard at work again, creating structures of amazing complexity! From Robin’s nest to Beaver’s dam, the amazing creations of nature are all around the forest. Campers will learn to create their own shelters with nature as their guide! It is time to discover what creatures lie deep in the Forest and what lies deep within you. Will you be sorted as an adventurous Thunderbird, a healing Puckwudgie, a Wampus cat warrior, or a Horned serpent scholar? 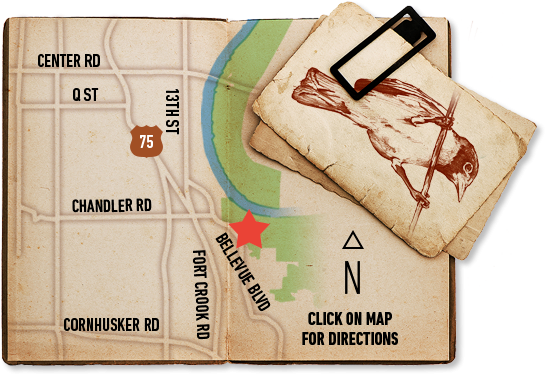 What secrets will you discover and write about as we work together to create a Field Guide to the Fantastic Beasts of Fontenelle Forest? This magical adventure will be filled with hiking to catch a glimpse of a blue-tongued skink, staking out the oak savannas in search of serpents, and roaming the trails for signs of the elusive Bigfoot. This camp offers all of the classic summer activities we love and so much more! We will spend the week off the grid, learning how to navigate the forest without technology and what gear to bring on longer backpacking styled hikes. 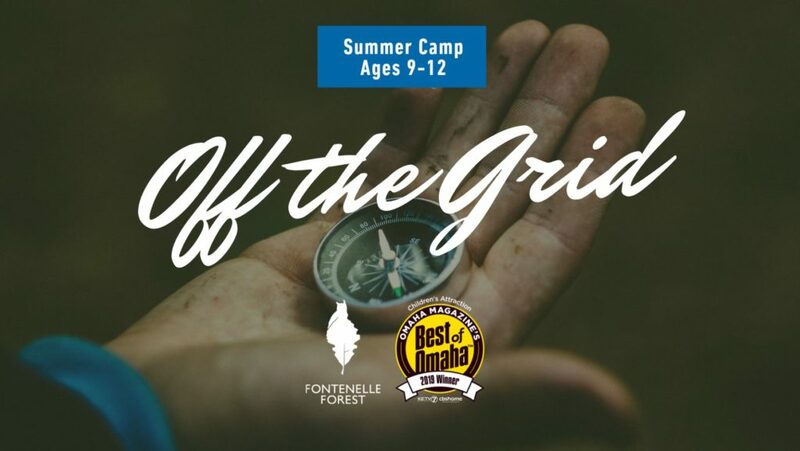 Campers will also practice outdoor cooking techniques and immerse themselves in nature through games like Capture the Flag and Eagle Eye. 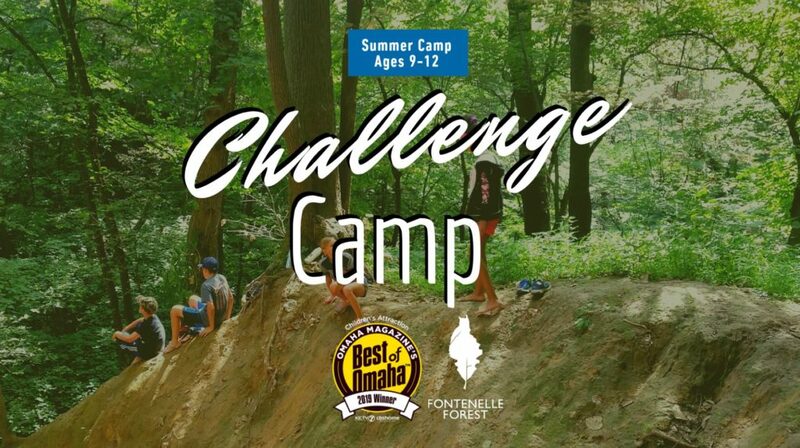 Are you looking for an extra challenge this summer? Hiking, exploring, team building, outdoor cooking and other tasks of immeasurable size await the campers who join in on this adventure. The fun doesn’t end there because Thursday is an overnight experience! Night hikes through the darkness and the early morning sunrise will give campers a new experience of the Forest. Overnight list provided after registration. What is nature awareness? A process of sharpening our senses to perceive more about what is going on around us. Are you looking to build strong friendships while exploring the outdoors this summer? This will be a week of team building, hiking, playing games, and practicing skills all designed to increase your wilderness awareness and develop your friendship with the forest. Be prepared to discover more about your connection to nature and delve into all the fun that the Forest has to offer!